A Libyan soldier became a national hero after his death, when a video was released showing him asking his ISIS captors to confront him and fight honorably. The story goes back to 2015, when Suleiman al Huti was held captive during one of the battles between the Libyan army and ISIS in the Laithi region of Benghazi, east of Libya. He later asked them to fight honorably, but they refused and shot him dead. 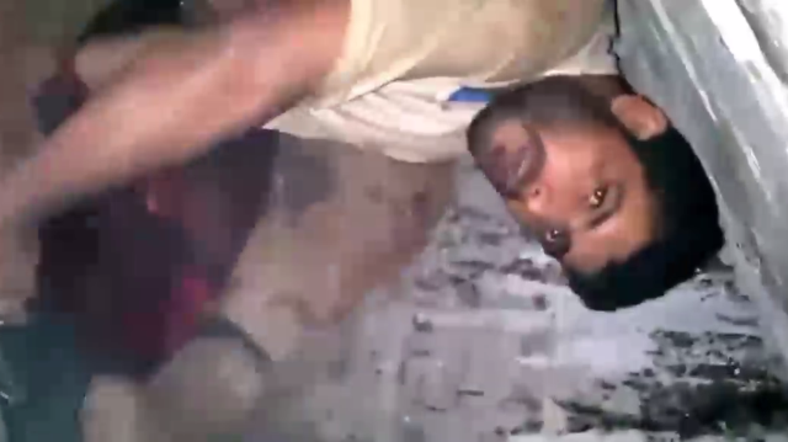 On Monday, a video was released documenting the method of execution of the Libyan soldier. Immediately after, the image of the captured soldier propagated Libyan social media and local newspapers. His story spread among the activists who interacted with it and launched the Hashtag #With_honor, which is the phrase echoed by the soldier before his martyrdom, making it the number one Twitter trending story in Libya. The video displays a dialogue between an ISIS fighter and the captive soldier in one of the caches, in which the latter asked his to fight with honor, but was subjected to a barrage of vulgar words and accusations of blasphemy before being shot, "In retaliation for a rebel element of the Shurra Council of Benghazi”, who was killed at the hands of the Libyan army, named Habib Ben Yiza. All across social media, the activists praised the courage of the soldier who did not exhibit any signs of fear or weakness in front of the fighter of ISIS, expressing their pride and gratitude to their army, their stance against terrorist groups targeting the security of the country and people, and calling for the need to walk in their footsteps and avenge their death. In this context, a Twitter user called Gaddafi Senussi wrote "History of mankind will never forget you; you are an honorable man who defended this country. We will avenge you. I hope officials see this video." For his part, the British ambassador in Libya Peter Millet expressed his admiration for the courage of the soldier who challenged the ISIS fighter by retweeting the hashtag. 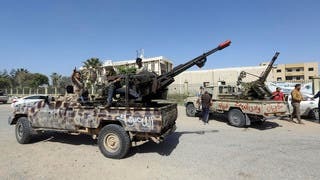 Suleiman’s courage will be a glimmer of hope to the Libyan army who continues its war against the terrorist groups, according to Mohammed Rouissi, a Libyan soldier. Rouissi asserted, "Yes, and I say it loud and clear, we shall continue our war against terrorism. We will not surrender and or give up and we are confident in the capacity of our armed forces."